In this small tutorial we will learn how to create boxes for CDs and DVDs using Demoniak3D. Once created, these boxes may be used, for example, to show the packaging of a new software. We often find this kind of illustrations on websites that sell software or in computer magazines. But very often, we see boxes featuring 3D rendering mistakes, such as incoherent vanishing points or side images incorrectly deformed. One reason is that the cg artist does not use 3D software to create the box: instead, a simple 2D vectorial drawing software is used letting the artist the responsibility to deform his own way the 2D box to get the desired 3D result. Fig. 1 - The DVD box done with the DVD_Box_Maker_with_reflection.xml script. The main advantage of this method is that everything is handled in real 3D. Once the box created, one can make screenshots from any point of view, change the camera field of view (fov), apply lighting and reflection effects. It is also possible to use vertex and pixel shaders in order to get the appropriate result. DVD_Box_Maker_with_reflection.xml: this script adds a reflection on the floor . All textures are located in the data/ directory. 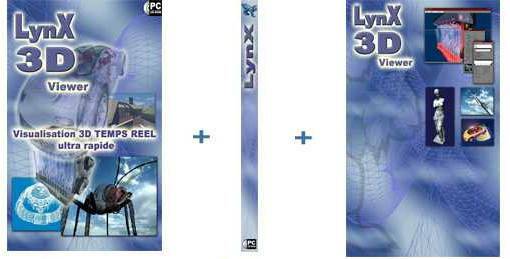 The first three textures (dvd_front.jpg, dvd_back.jpg and dvd_left.jpg) are the 3 textures of the figure 2.  The fourth and the last texture (void_map.jpg) is a texture to map on the other faces that are less important for the final result. The gloss map is just a texture that encodes high reflection areas in white and non-reflecting ones in black. The camera is controled by the 4 direction keys (UP and DOWN: camera forward and backward - RIGHT and LEFT: right and left camera strafe). To place the camera, you can also use the [Ctrl] button + mouse left button: that allows translations in the camera's XY plane. The only thing you have to do, is to make a screenshot and use your favorite image processing software to finalize the job! *** These source codes require Demoniak3D to work properly. Demoniak3D is available here: [:: Demoniak3D Demo-System ::]. Page generated in 0.0034680366516113 seconds.